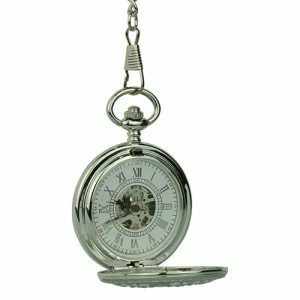 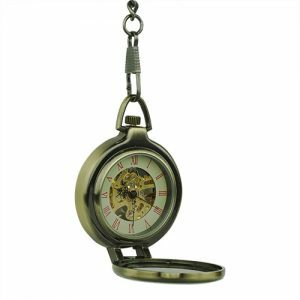 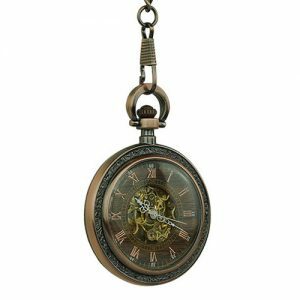 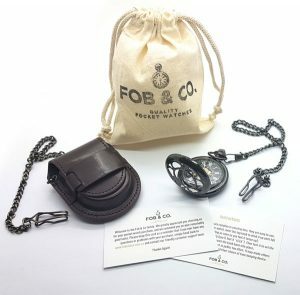 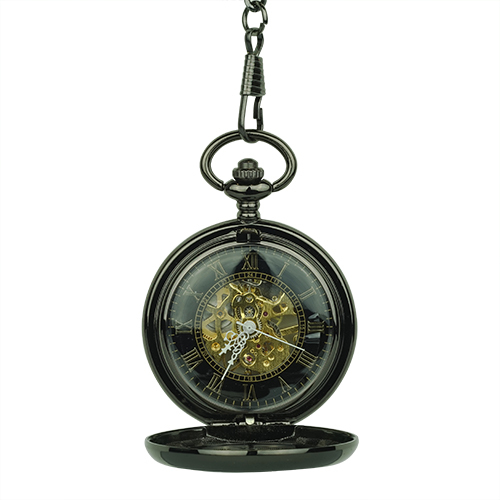 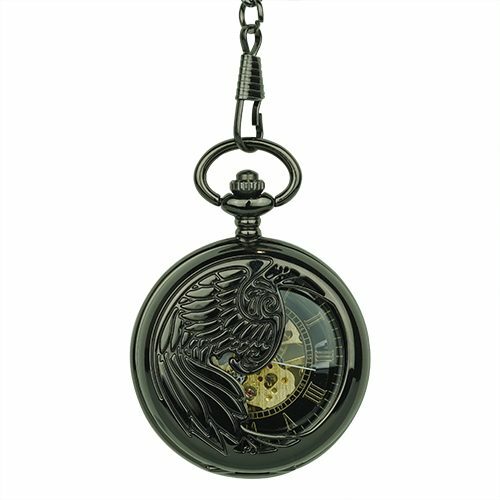 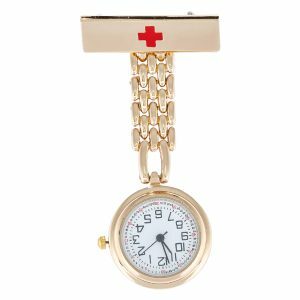 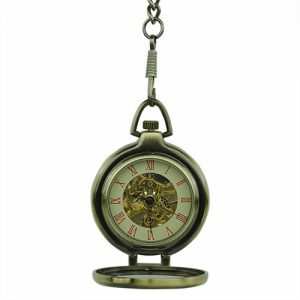 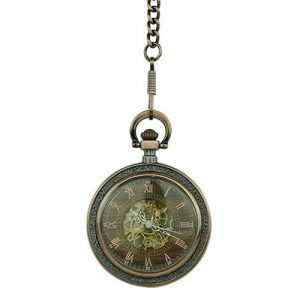 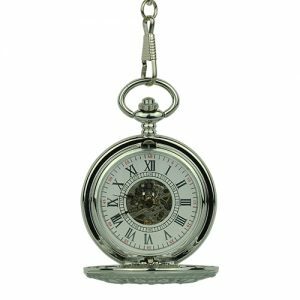 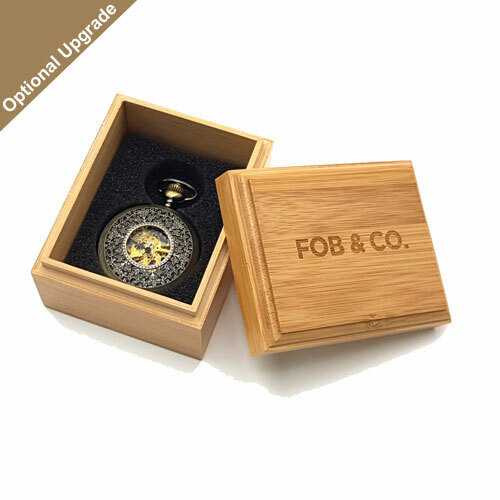 Asymmetric Phoenix Black Hunter Pocket Watch - Fob & Co.
Tell a beautiful story with a stunning pocket watch featuring a magnificent Phoenix. Half of the top cover is engraved with this wonderful, mythical beast the other half is finished din black for a striking look. 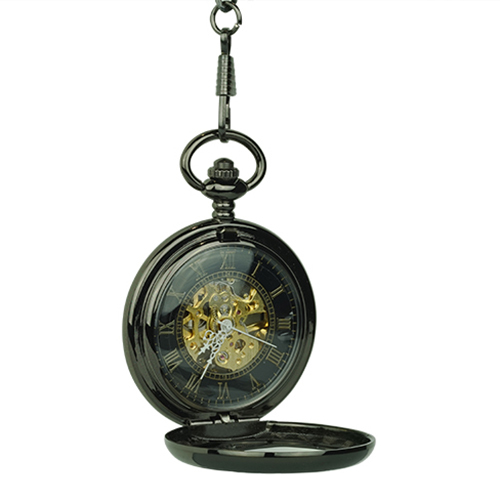 Open up the inside to see gold Roman numerals against a black background and a golden skeleton that boasts finely detailed inner workings. 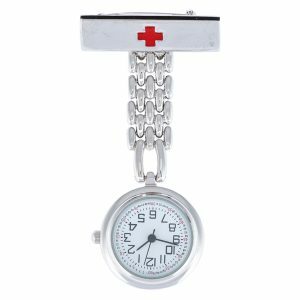 Turn this handsome watch over to see an elegant flowery pattern and a little window that offers another view of the moving gears.